Just to the north of the coastal bird-hide in the Lake Borrie Lagoons (Western Treatment Plant) is the mouth of the Little River. 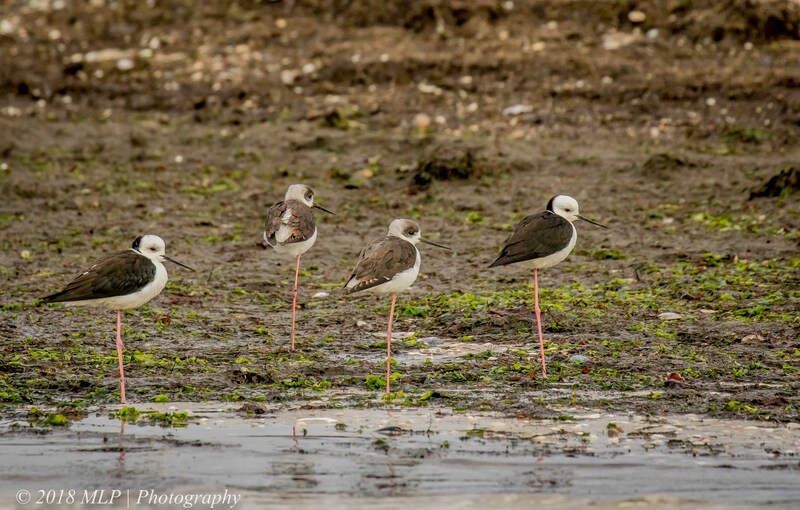 It is a great spot for various roosting birds at the high tides. 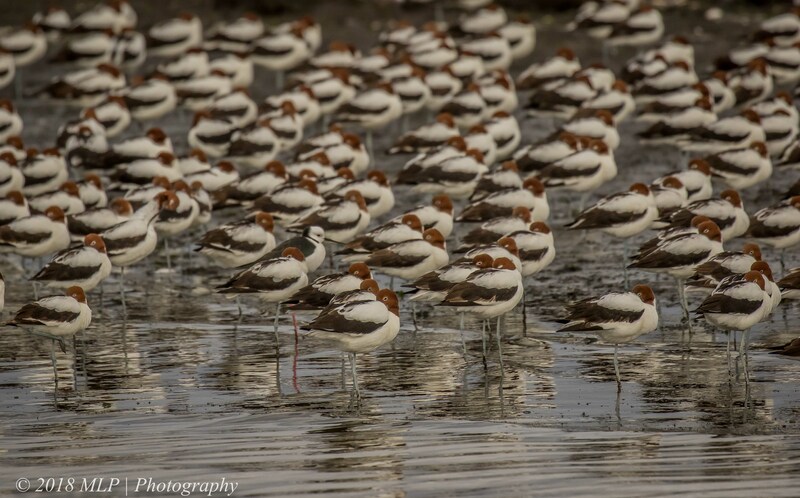 On this occasion we found dozens of Red-necked Avocet roosting and preening and a few metres a small family of Black-winged Stilts.